Want to elate your special someone on this special occasion with some amazing gifts. Check out this special gift combo which contains mind blowing products for gifting. 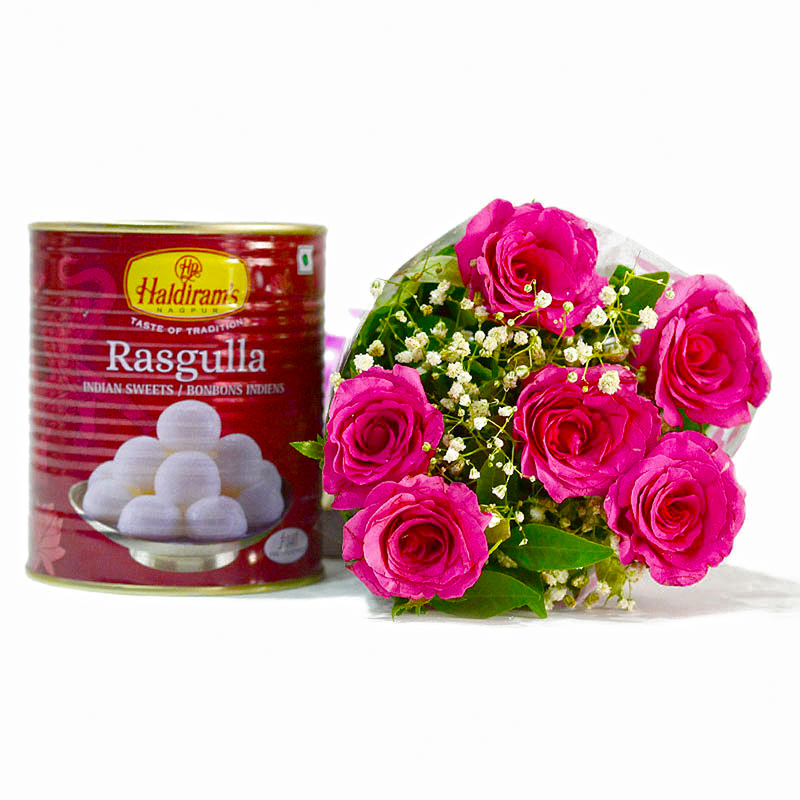 It includes a bunch of six pink roses tied with matching ribbon bow along with rasgullas symbolize love, gratitude and appreciation. The contents of this special gift combo are all set to delight your special someone. You can use this pack for special occasions like Birthday, Anniversary, Retirement Gifts, Easter, Valentine's Day and even weddings if you wish. You can also send this gift hamper along with other Gifts to India through Giftacrossindia.com. 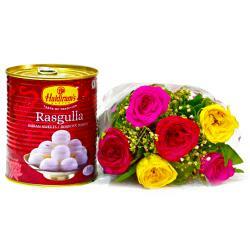 This gift hamper contains : Bouquet of 6 Pink Roses along with Pack of Rasgullas (Weight : 1 kg).